Veuve Clicquot pink champagne and truffles at the Veuve boutique restaurant in Harrod’s London. A perfect interlude. Had that bubbly on NYE! 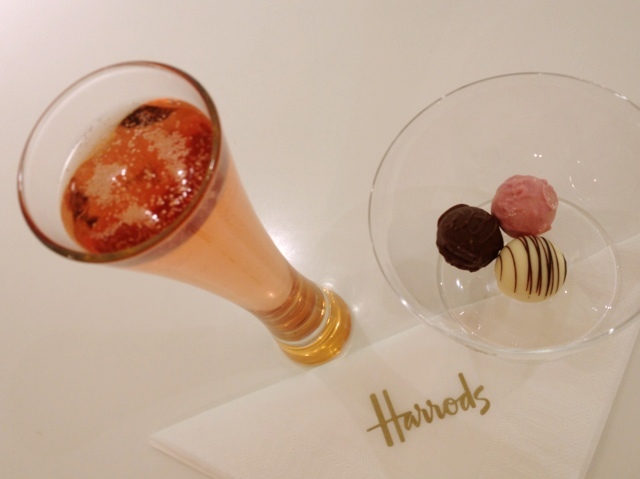 It’s lovely – what a great treat with the truffles and the backdrop of Harrod’s and London! Enjoy! It really was a highlight of my trip. I’m a huge Veuve fan so it was great to enjoy their boutique.